This carpet has the perfect color combination of ivory, blue and pink. 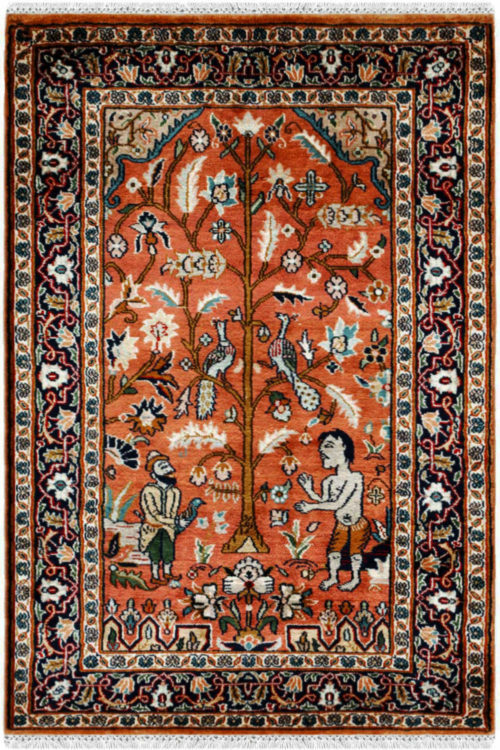 This carpet contains Kashan Design pattern which has been originated from 17th century in Persia. This is woven by our talented craftsmanship. 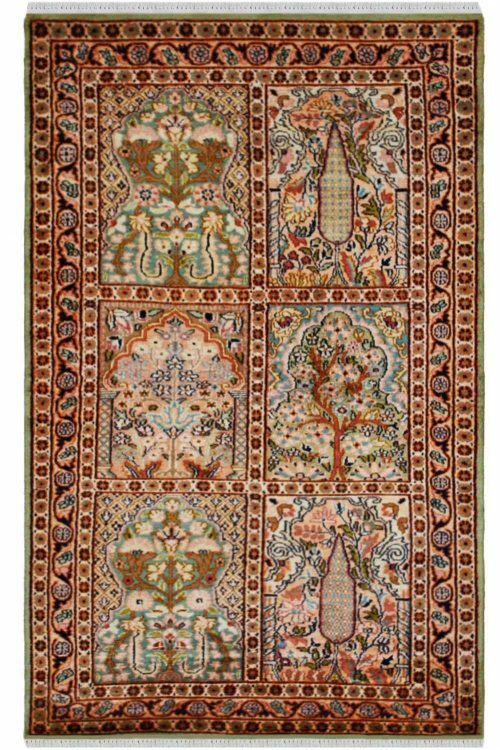 Hand knotted Beautiful carpet, this carpet is handwoven in finest quality of silk or we can say that is in pure silk. 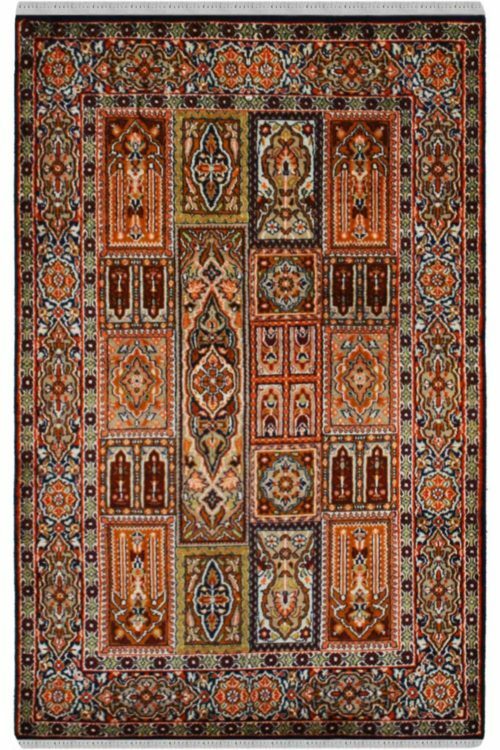 This is a very exclusive carpet in Yak carpet store. It has taken about 7-8 months to weave. Bring some vibrant color and give a luxurious look to your home. You can place it in your living room and bedroom. This is suitable for the low traffic area. 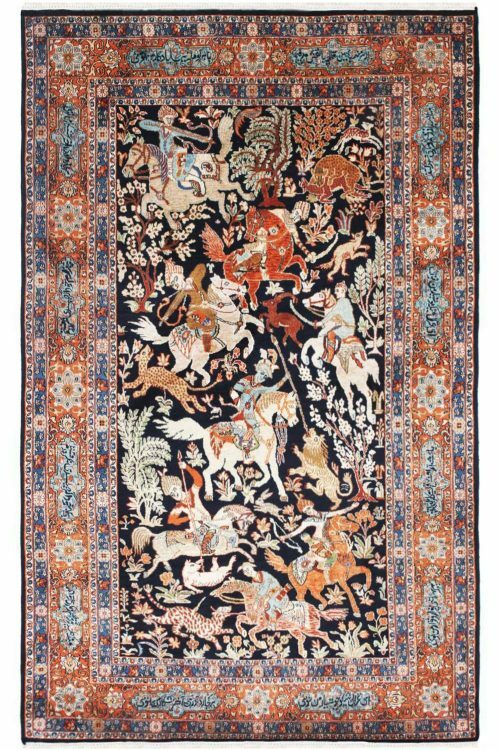 The warp of this rug is in Pure Silk and weft is also in Pure silk. It gives a soft touch. 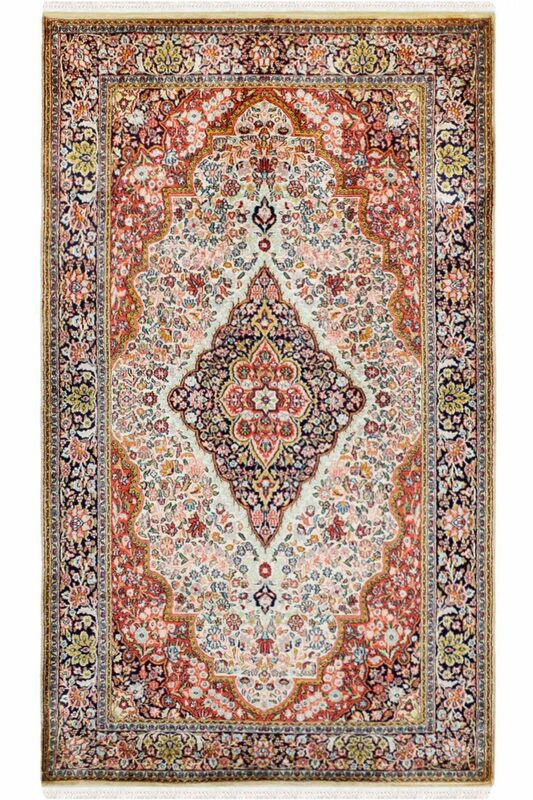 This rug is so beautiful, the color and pattern are very nice. I like the fabrics of my last carpet which I bought from you. I like this carpet and want to buy. Please contact me back through email, Thanks.